Several interlinked buildings at a prominent location in Leeuwarden’s business district are empty for some time. Requests for this many square metres do not come along every day, an important factor in the owner’s lack of success in attracting new tenants. News that a major tenant is looking for approximately 10,000 m2 of office space in the city’s business district seems to provide the perfect opportunity to bring the empty buildings into the spotlight. Anticipating the prospective tenant’s requirements, CBRE worked with the owner to come up with a customised solution designed to convince the tenant to opt for this property. The core of this solution was to merge two separate buildings into a single property large enough to offer the required floor space to a single tenant. In line with this solution, a renovation plan was drawn up. In the initiatory phase, CBRE advised the owner on the renovation plan and the spatial and functional modifications to the building. CBRE then comprehensively oversaw negotiations with the tenant. A cooperation agreement with the tenant was also signed for the design and project management during implementation. Two buildings were combined architecturally and in terms of technical installations, to create a single perimeter block. Central facilities and a meeting place were located in the atrium, accessed through two new double-height entrances. 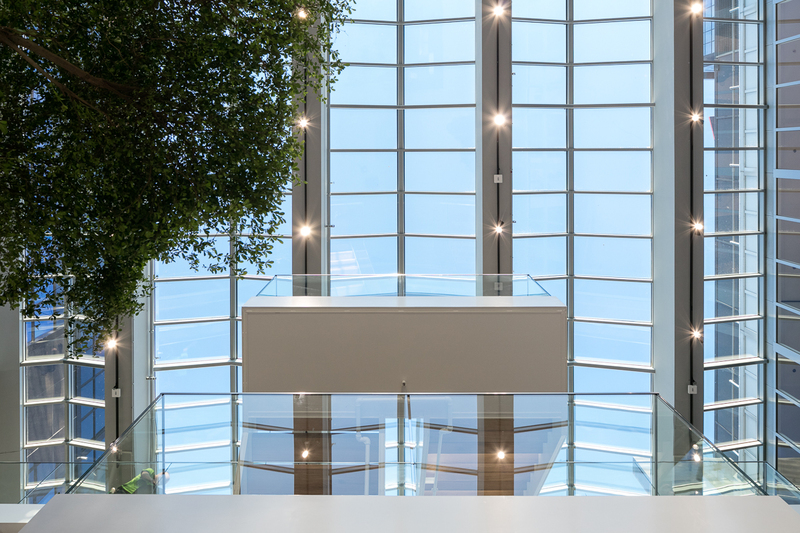 A staircase and a platform connect the atrium with the fully renovated office floors. Efficient sustainability improvement and upgrading of air conditioning systems. On completion, the building had a first-rate energy label (A) and climate class B. During the project, tenant and owner reached an agreement on replacing the entire façade of the building and improving its sustainability. This additional aspect was incorporated without having to extend the planning schedule. LFA. Efficient cooperation between both project teams enabled this extensive renovation to be carried out within a highly ambitious schedule. 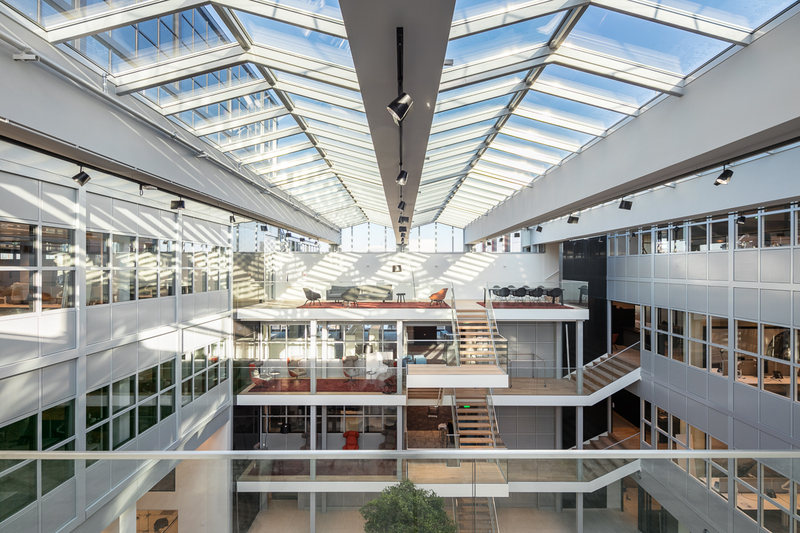 The result is a building that once again meets the latest requirements in terms not only of indoor climate and sustainability performance, but also of functional spatial layout.